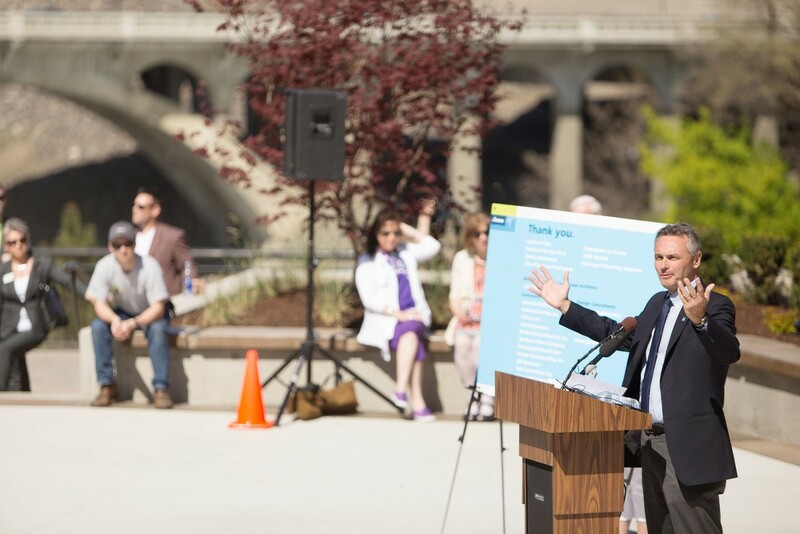 After being closed for renovations since last July, Huntington Park and the new plaza near City Hall opened to the public today. 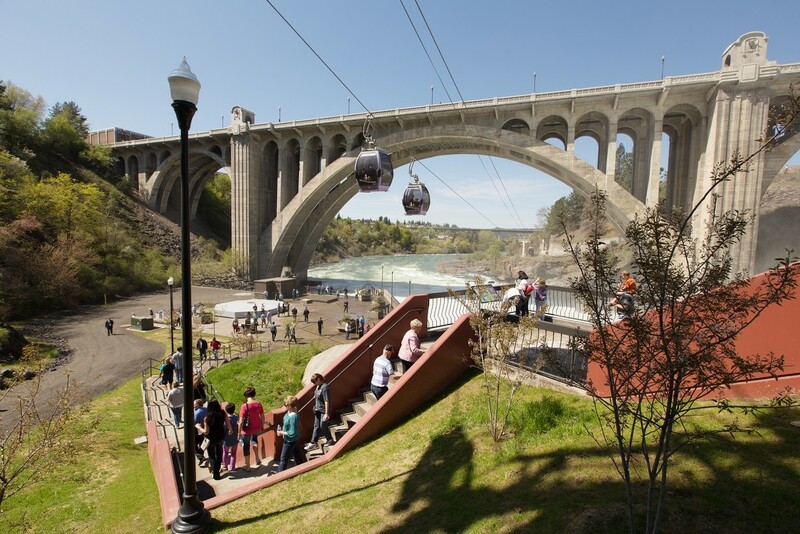 Following a dedication attended by a hundreds, onlookers gazed at the high flowing Spokane Falls, listened to drummers from the Spokane Tribe, and looked at newly installed statues. 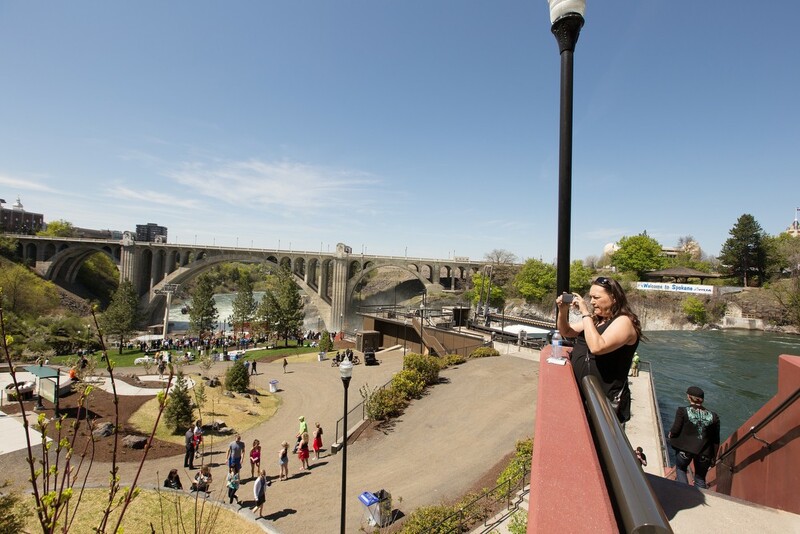 One family decided the warm day was perfect for a picnic. People wander around Huntington Park. 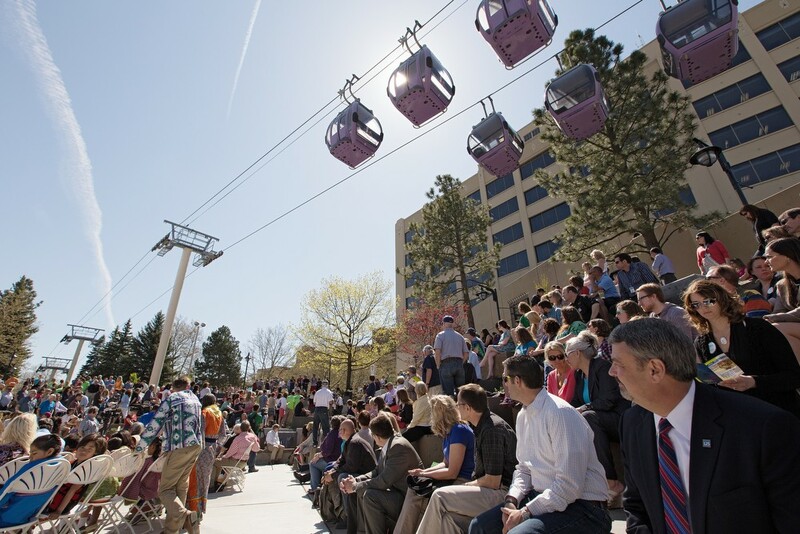 People gather to watch a speaker during the dedication. 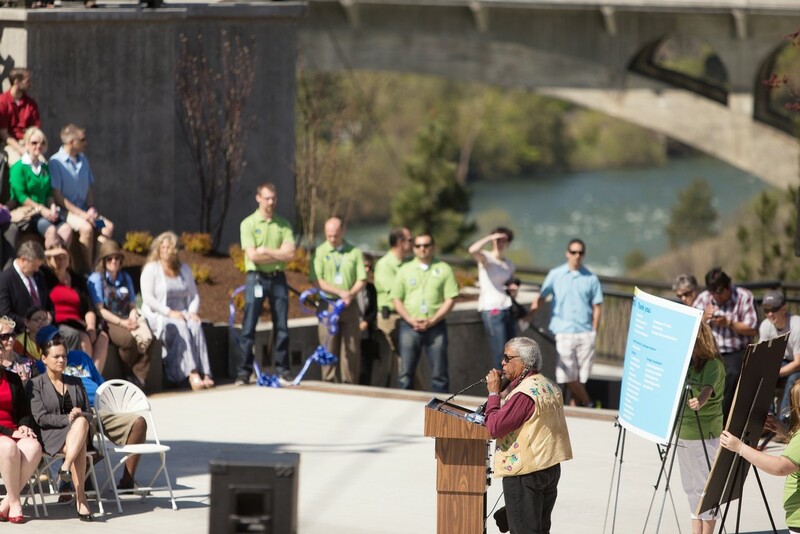 Spokane tribal elder Pat Moses speaks during the dedication. 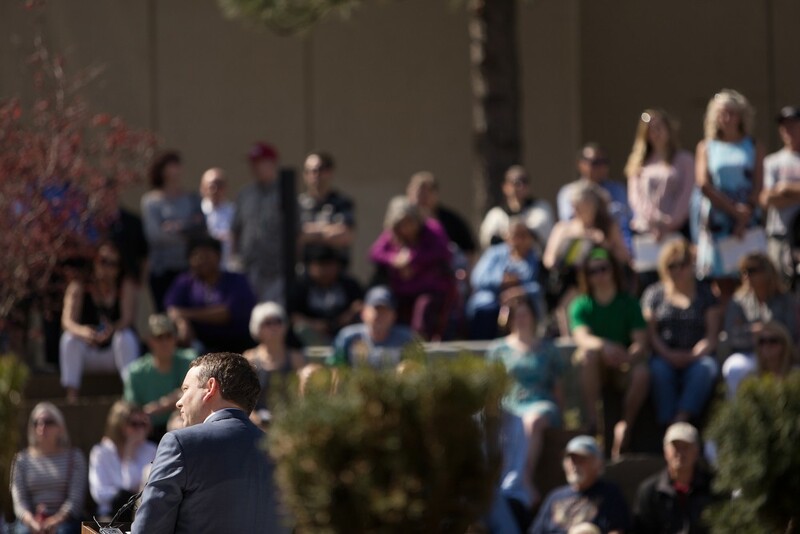 Avista CEO Scott Morris speaks during the dedication. 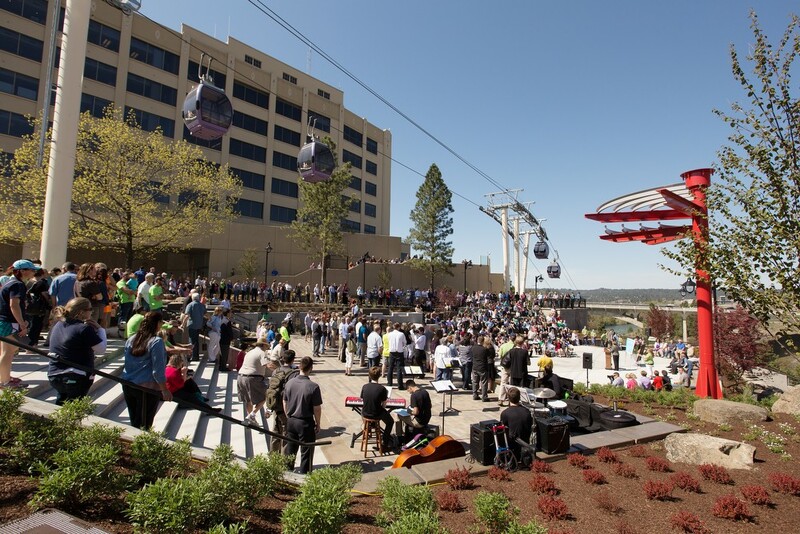 City of Spokane Mayor David Condon speaks during the dedication. 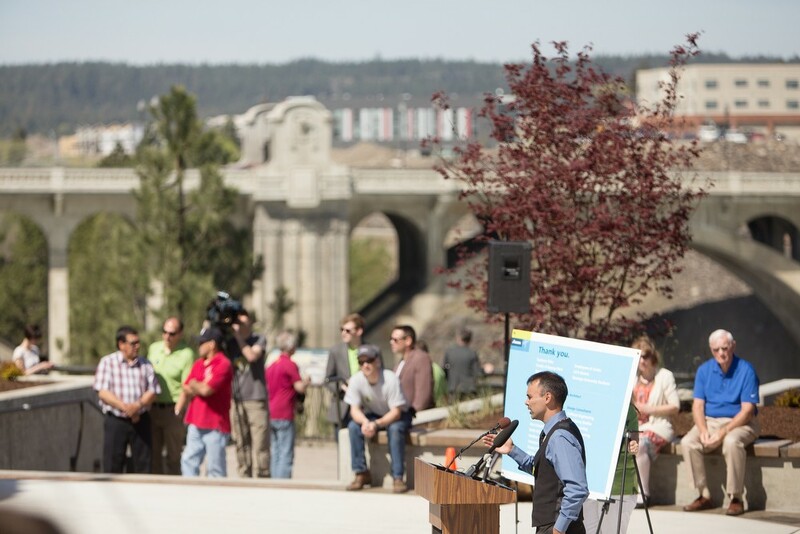 Spokane Tribe Chairman Rudy Peone speaks during the dedication. 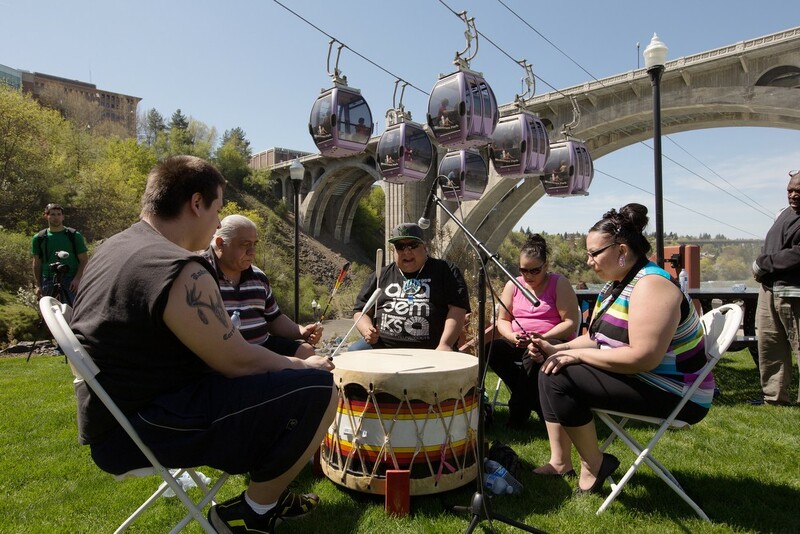 Spokane tribal members (left to right) Robert Corral, Paul Corral, Gabby Corral, Lucille Mathias and Leona Stanger play a drum. 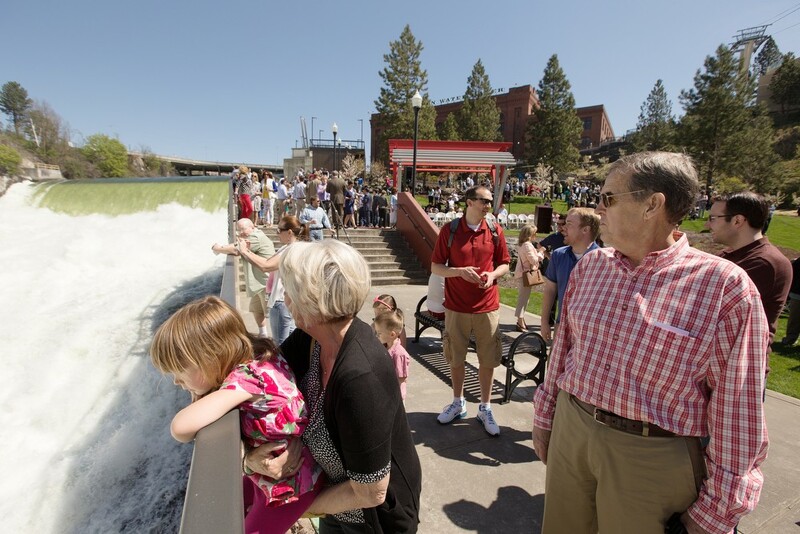 Three-year-old Ava Werner, left, watches the Spokane Falls, while being held by her grandmother Marlys McDermott, center, as her grandfather Mike looks on. 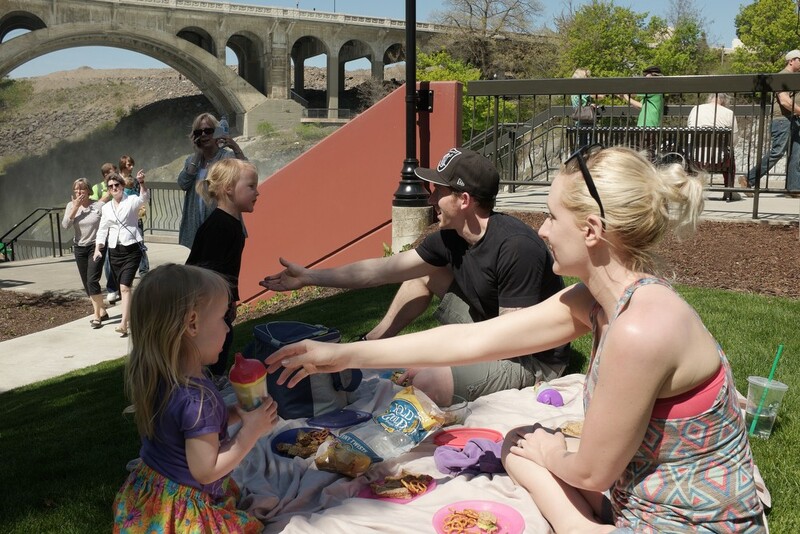 Terran McCabe, right, her husband Jesse, second from the right, and their 2-year-old daughters Devon, left, and Fredi have a picnic. Deb Soccumtickem takes a photo of Huntington Park. 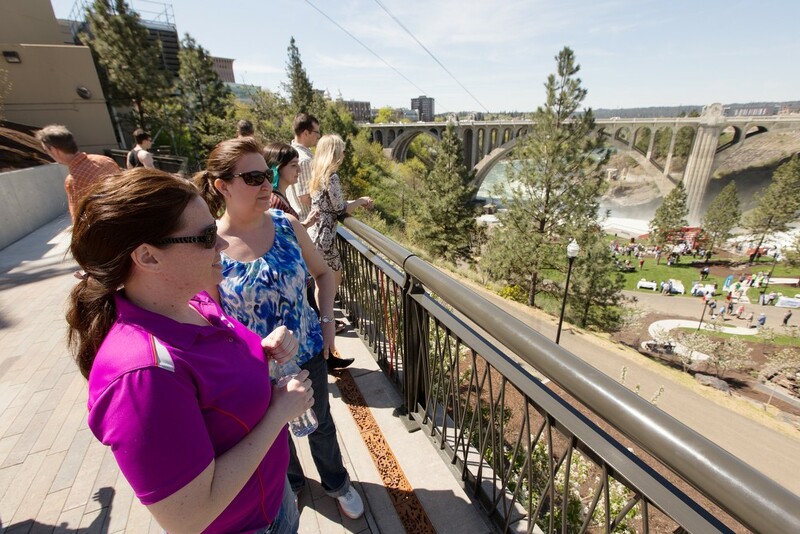 Rachel Leibrant, left, and Mary Berry look towards Huntington Park.